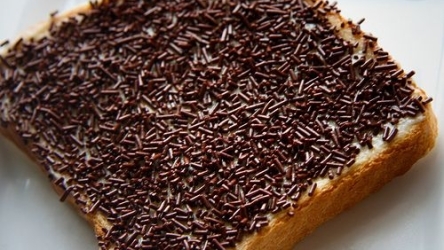 Hagelslag is a Dutch food recipe for chocolate sandwich topping. Butter each bread slice lightly. 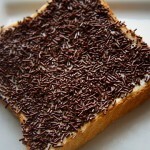 Sprinkle 1 tablespoon chocolate sprinkles evenly on top. Eat as a snack or as a light meal with milk.